One great way to create your own sustainable spice rack is to grown your own. Whether you live in a rural or urban area, you can still create your own green spice garden in the comfort of your home. Here we are going to take a look at one company that can help you create a green spice garden with ready-made herb kits. Herb Kits is a subsidiary of the Living Whole Foods group, whose goal is to help provide green growing kits for people living the green lifestyle. They carry a varied selection line that includes strawberry growing kits, salad growing kits and flower garden kits. In this article, we will take a look at their Herb Garden Kits. The Herbal Kits line includes three different kit choices which include the Indoor Herbal Tea Garden, Indoor Culinary Herb Garden, and the Medicinal Herb Garden. Depending on your personal choices and preferences, you may want to mix and match herbal choices from all three kits. Each kit comes with everything you will need to set up your own indoor garden. Peat pellets, a greenhouse dome, and a garden tray are included with the seed packets you choose. The peat pellets that are provided come from organic Canadian sphagnum peat moss. All you need to do is add water and the peat will expand to create both the soil and pot in one action. The greenhouse dome and garden tray are made from recyclable plastic and are both reusable for any of your planting needs. The Indoor Culinary Kit includes the following herb seed packets: Parsley, Thyme, Cilantro, Coriander, Basil, Dill, Oregano, Sweet Marjoram, Chives, Savory, Garlic Chives, Mustard and Sage. In the Medicinal Herb kit there are a few herbs that you can add to your green spice garden such as Peppermint, Lemon Balm and Cayenne. 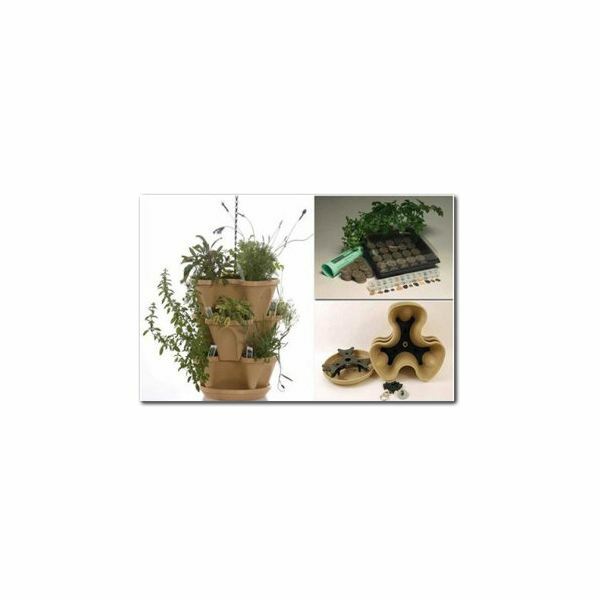 For more information on how to set up an easy all-in-one type green garden in your home, visit their website at: www.herbkits.com.